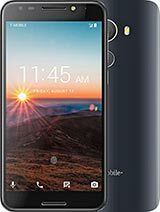 T-mobile is removing the tethering and hotspot options off of the g2. stan, 26 Sep 2010why there is no one answer this ... i hope this can tether. anyone can confirm.yes you can with android 2.2 you can automatically tether! Anonymous, 09 Sep 2010Does this G2 can tether with laptop...? if it can must be great for the internet speed... why there is no one answer this ... i hope this can tether. anyone can confirm. anonyMouse, 24 Sep 2010This looks a lot like HTC Desire Z :))That's because it is the Desire Z -- only with a few physical changes by T-Mobile USA. It's like the HD2; there's a WWE HD2 and a slightly different T-Mo USA HD2. No 802.11n or mini-HDMI port? Only USB 2.0 and Bluetooth 2.1? I wish for 16x9 aspect ration 4.0" screen. Does this phone support UMTS band I or only band IV? This phone is HSPA+ 21mbps, not the 7.2mbps suggested on the spec sheet. Why the hell this phone weights 187g? That is toooo heavy. The HTC Vision is named the T-Mobile G2 in the U.S. Anonymous, 10 Sep 2010Why it's only 800 Mhz. Why not 1Ghz. Why is a Pentium4 @ 3.8GHz slower than a Core2Duo @ 2,8GHz ?? Shouldn't this phone be HSPA+ 21mbps down?